Festival is the cultural, religious, and artistic activities of community which play an important role in the Vietnamese life and are vary from different ethnic groups. Festival consists of two main parts "ritual" and "festival" that respect God of Human and God of Natural and often celebrated in spring and autumn, the leisure time after the harvest season. Almost thousand festivals in Vietnam are the folklore festivals, religious and historical festival, as well as other modern festivals. 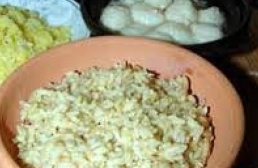 Among of them, the Lunar New Year Festival or Tet is the most sacred festival of every Vietnamese. Beside there are also other important festivals like Chol Chnam Thmay Festival, King Hung Temple Festival, Mid-autumn Festival, Vu Lan Festival (or Trung Nguyen Festival), etc. Co Loa Citadel Festival is held from 6th to 16th day of the first lunar month in the year, just after Lunar New Year Festival. 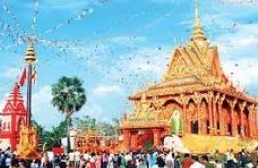 The festival takes place at Upper Temple ("Den Thuong"), Dong Anh District, Hanoi, which is place to worship King An Duong Vuong - the King of Au Lac (the former name of Vietnam in 1st century BC). This holiday is the New Year festival in ancient calendar of Khmer people. Held in mid-April, the festival occurs in 3 days (4 days for leap year).People prepare new clothes, food and drinks for whole festival days. They also repair, clean and decorate their house. Everyone is excited to care for holiday. 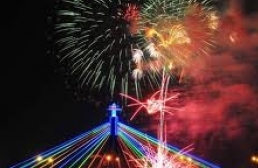 Danang International Fireworks Competition is an annual international fireworks competition hosted by Danang City. 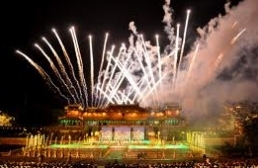 The first Danang International Fireworks Competition was held in 2008. Every year, the competition usually takes place at the end of April with the participation of 3-4 international competitors and the host - Danang City. "Halong Carnival" is the biggest annual festival in Halong which attracts a huge number of tourists each year. Tourists coming to Halong Bay will be dazzled by colorful and bustling atmosphere of carnival festival. 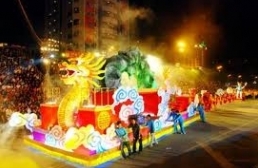 Halong Carnival has become an excellent tourism product in Halong. Hue Festival is a big cultural event of Hue City that is held every two years. 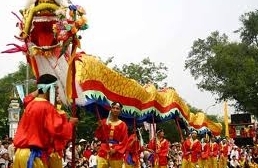 There is a week (usually in April, May or June) for each festival season which is the occasion to honor cultural and historical values of that Vietnam's former capital city. The first Hue Festival took place in 2000. 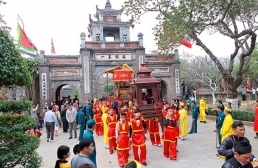 Situated in Huong Son Site, Hanoi, Huong Pagoda complex is considered as one among centers of Buddhism in Vietnam. The pagoda complex consists of several Buddhist pagodas and temples on Huong Tich lime-stone Mountain. Located at the center of the complex is Huong Pagoda (so-called Trong Pagoda), which was built inside Huong Tich Cave - the most beautiful grotto of the South. 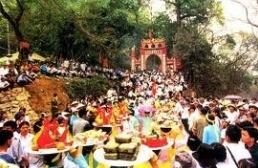 King Hung Temple Festival is a traditional festival which honors the first King of Vietnam - King Hung. It's occasion for every Vietnamese to remember their origin and express their respect as well as gratitude to ancestor of Vietnamese people. 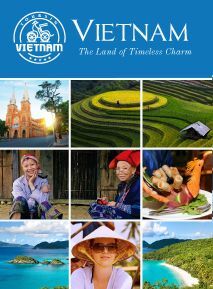 Therefore, it's considered as national festival of Vietnam. 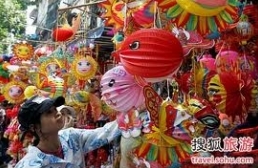 Lim Festival opens annually on around 12th - 13th day of the first lunar month in the year. 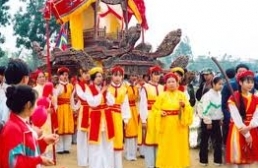 The festival takes place in a spacious area of Noi Due Commune, Lien Bao Commune and Lim Town, which three belong to territory of Tien Du District in Bac Ninh Province, Vietnam. It's the festival of "Quan Ho" singing, which has become one of UNESCO's Intangible Cultural Heritage since 2009. Lunar New Year Festival - the occasion that marks the beginning of a new year in lunar calendar, is also called "Tet" or "Tet Nguyen Dan" in Vietnamese. This is the most important festival in Vietnam which usually takes place annually around late January or early February. Mid-Autumn Festival is held on 15th day of the eighth lunar month to celebrate biggest full- moon in the year. In Vietnam, this festival is for children specially and children are center of all activities on that day. 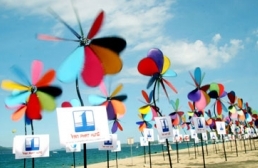 Nha Trang Sea Festival takes place every two years for a week in around June in Nha Trang City, Khanh Hoa Province. This is a colorful and dynamic sea festival which honors natural beauty of Nha Trang - the charming city overlooking the sea. 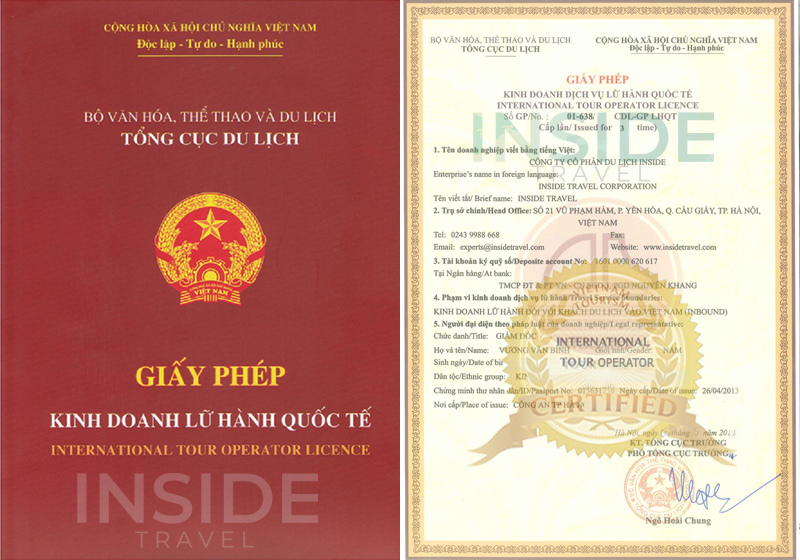 The first Nha Trang Sea Festival was held in 2003 when Nha Trang Beach was proclaimed as a member of the Most Beautiful Bays in the World Club. Doan Ngo Festival has another simple name in Vietnamese: "Tet Giet Sau Bo" (day for killing insects). It's held on the fifth day of the fifth lunar month in the year. In the opinion of Vietnamese, that's the time of transition from spring to summer and thus, insects and diseases have good condition to develop. 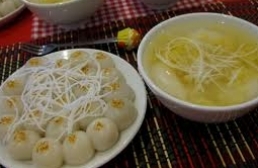 Tet Han Thuc (Cold Foods Festival) is a traditional festival of Vietnamese which takes place on the 3rd day of the third lunar month in the year. This is occasion for family gathering and remember ancestor. 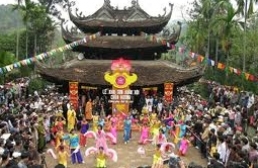 Vu Lan Festival (or Trung Nguyen Festival) is Buddhist festival that emerged long ago in Vietnam. Every year, the festival takes place on 15th day of the seventh lunar month, celebrates the seventh full moon in the year. In Vietnamese, it is so-called "Xa toi vong nhan" festival because this is the day for the death's souls.